DVD to iPhone Converter for Mac. Super fast DVD movie conversion, high quality Video, and the many advanced features give you everything you need to enjoy your favorite DVD movies and Videos on your iPhone. - DVD to iPhone Converter for Mac supports wide screen iPhone, the latest 640�480 Video size for iPhone, as well as several aspect ratios. - All encoders and decoders are built-in. - Easy to use! ...... With this versatile conversion tool, you can also convert DVD to iPod MPEG-4 for Video iPod, Apple TV, and new iPod 30GB and 80GB with resolution 640x480. 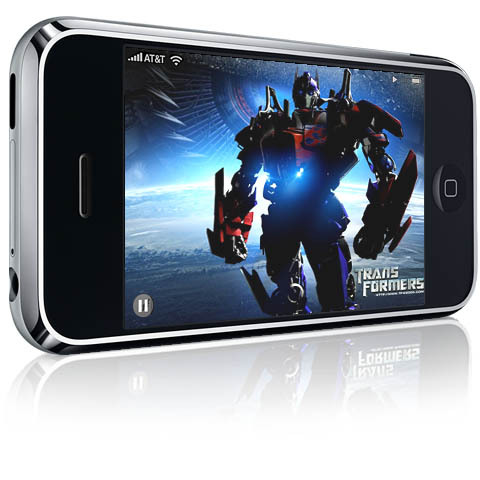 - Supports numerous players such as iPhone, Video iPod, Apple TV, iPod 30GB and 80GB etc. - Provides Super Fast Conversion speed. - Trim function for Video and Audio clip supported. - Provides both default settings and professional preset options. - Take Snapshots and preview files. - Option to split the output file into several files to fit your iPhone. - Pause, Stop or Continue the conversion process at any time. - Edit function for ID3 tag of MP3 format. - All encoders and decoders are built-in. This DVD to iPhone converter for Mac is the most powerful DVD conversion software for Mac available on the market! Qweas is providing links to Convert DVD to iPhone for Mac 2009.11614 as a courtesy, and makes no representations regarding Convert DVD to iPhone for Mac or any other applications or any information related thereto. Any questions, complaints or claims regarding this application Convert DVD to iPhone for Mac 2009.11614 must be directed to the appropriate software vendor. You may click the publisher link of Convert DVD to iPhone for Mac on the top of this page to get more details about the vendor.